Get those home projects you’ve been putting off done—and up to code. All of the most common standards are addressed in this new edition of BLACK+DECKER Codes for Homeowners, including plumbing, electrical, mechanical, and construction. This guidebook goes beyond simply reporting the codes, it interprets them for you and explains them clearly, with color photos and simple graphics. This 4th edition is current with the 2017 National Electrical Codes, 2018 Uniform Plumbing Codes, and 2018 International Residential Codes. 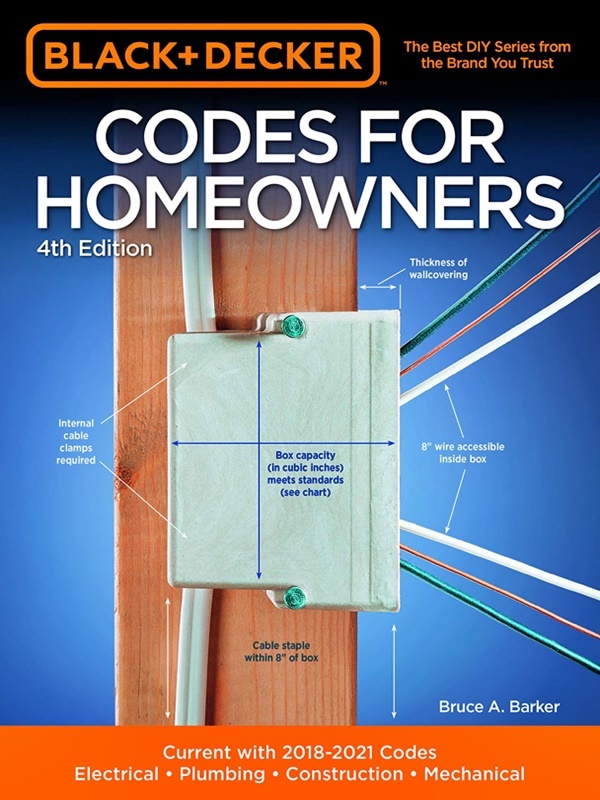 Written by national codes expert Bruce Barker and created under the supervision of BLACK+DECKER Corp., Codes for Homeowners does what no other code book accomplishes: it makes codes and building standards simple to understand and visualize, so you can be assured that your DIY projects are safe and will pass inspections.